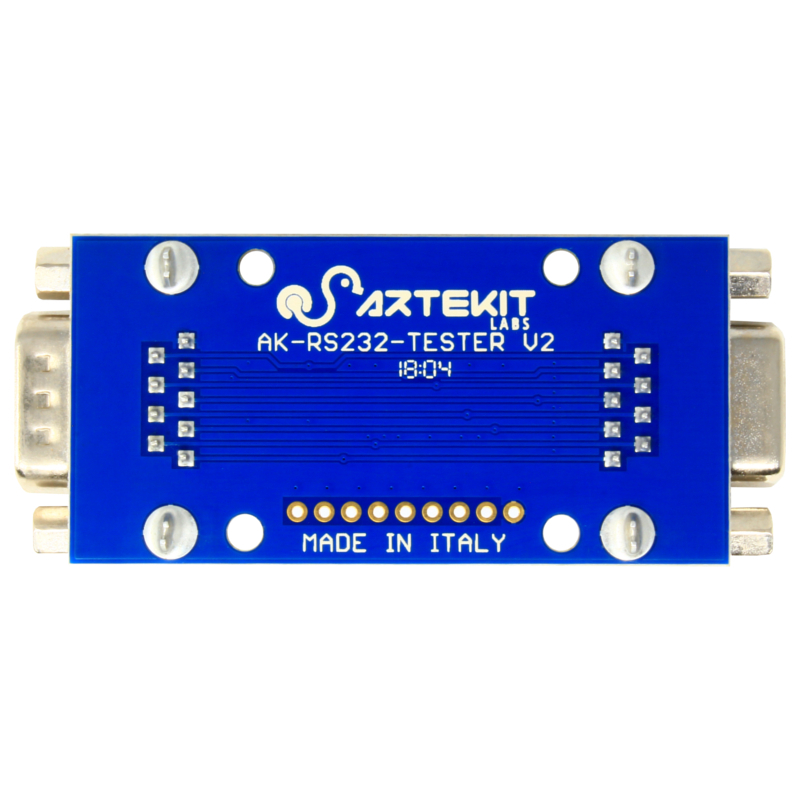 This is a simple RS232 cable tester. 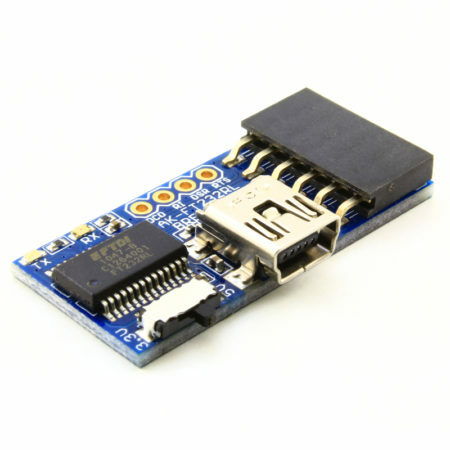 It can be used to quickly diagnose communication problems, due to cable/port defects or software bugs. 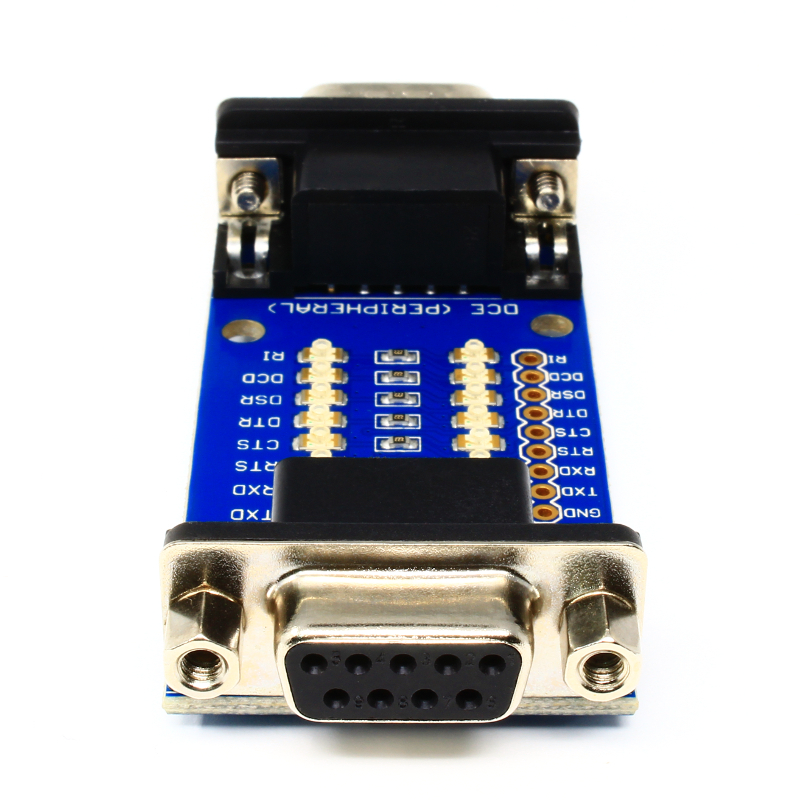 Useful on those situations where you can’t connect an oscilloscope or multimeter to debug a problem. Basically, there are two rows of LEDs, one for a high level signal and one for a low level signal. 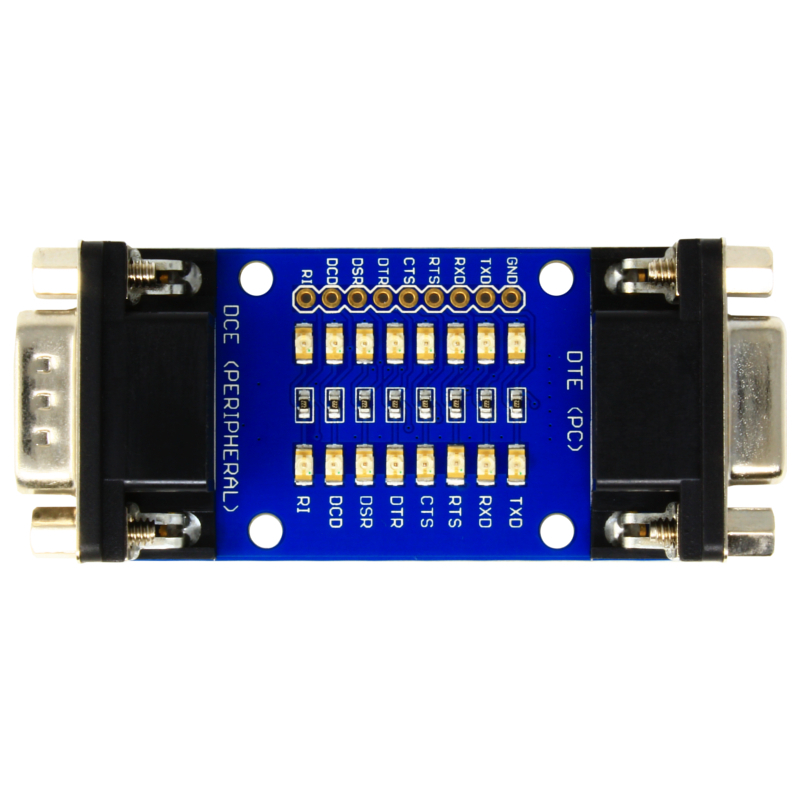 The LEDs in these rows represent every RS232 signal: TXD, RXD, RTS, CTS, DTR, DSR, DCD and RI for a full modem RS232. 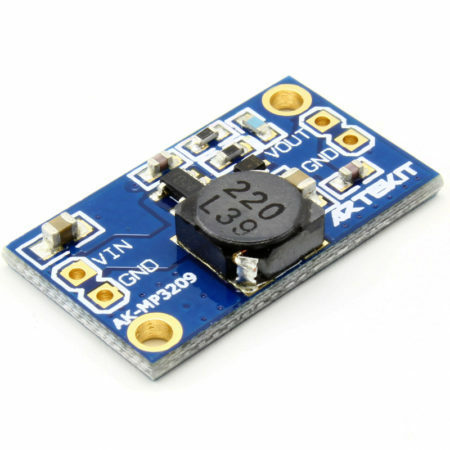 The corresponding LED will lit depending on the signal level. 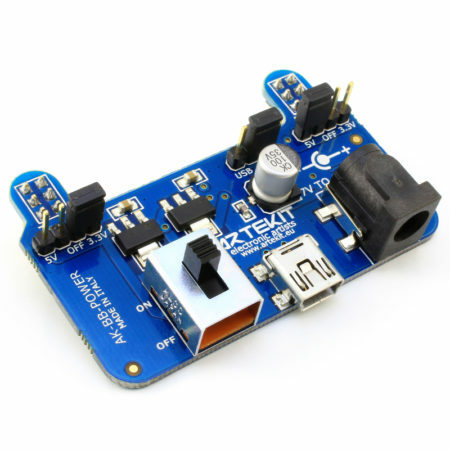 There is no need of power supply: the LEDs are powered directly from the RS232 signals. 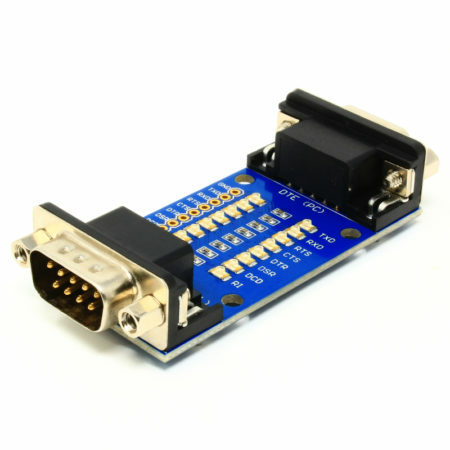 The board has a female DB9 connector on one side and a male DB9 connector on the other side, so it’s easy to connect. If you want to intercept the ongoing communication with an oscilloscope, there is a a row of 0.1″ (2.54mm) pins to place probes. This saves you from stripping cables or interrupting the communication. There are also four mounting holes to fix the board to a static location. This is a great handy product we use testing industrial PCs. 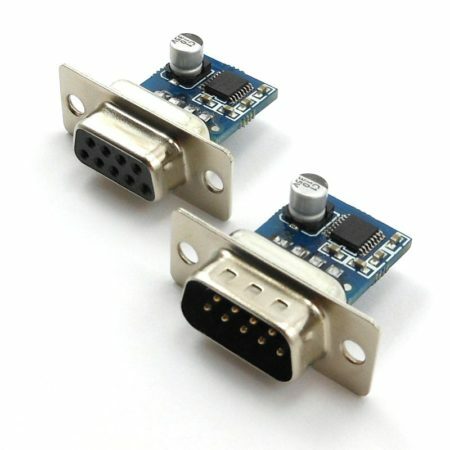 They are compact enough to plug several into adjacent serial ports. As mentioned by the other reviewer the dual LEDs are excellent. The breakout test points are useful as well. This is an awesome tester!! The surface mounted separate red & green LED’s are the key. Other devices use a red-green diffused LED. If there is slight data flow at 19.2K, you’ll never see the tiny bit of red light. But with these LED’s it is easy to see any data flow. Thanks!